ATHENS, May 15 (Reuters) - Greece will hold a new election after politicians failed to form a government on Tuesday, nine days following an inconclusive vote, prolonging a political crisis that pushes it closer to bankruptcy and exit from the euro. 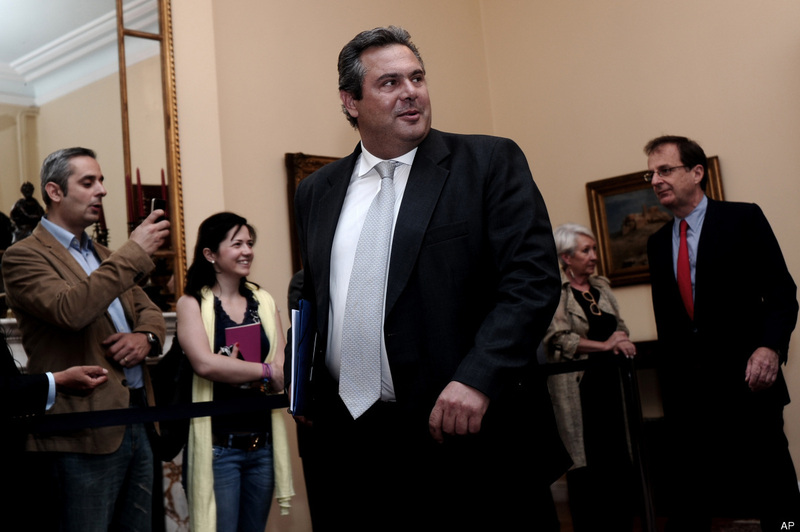 After a third day of failed talks with political leaders, a spokesman for President Karolos Papoulias said the process of seeking a compromise had been declared a failure and a new vote must be held. He did not immediately give the date for the new vote, but elections rules suggest it will be in mid June. A caretaker government would be formed on Wednesday, the spokesman said. Greece remains without a government since its inconclusive election left parliament split between supporters and opponents of a 130 billion euro bailout package reviled by Greeks for imposing deep wage, pension and spending cuts. Polls show the leftist SYRIZA party, which rejects the bailout and placed second in last week's vote, is now on course to win, a result that would give it an automatic bonus of 50 seats in the 300-seat parliament. European leaders say that they will cut off funding for Greece if it rejects the bailout agreed in March, which would mean bankruptcy and all but certain exit from the European single currency.